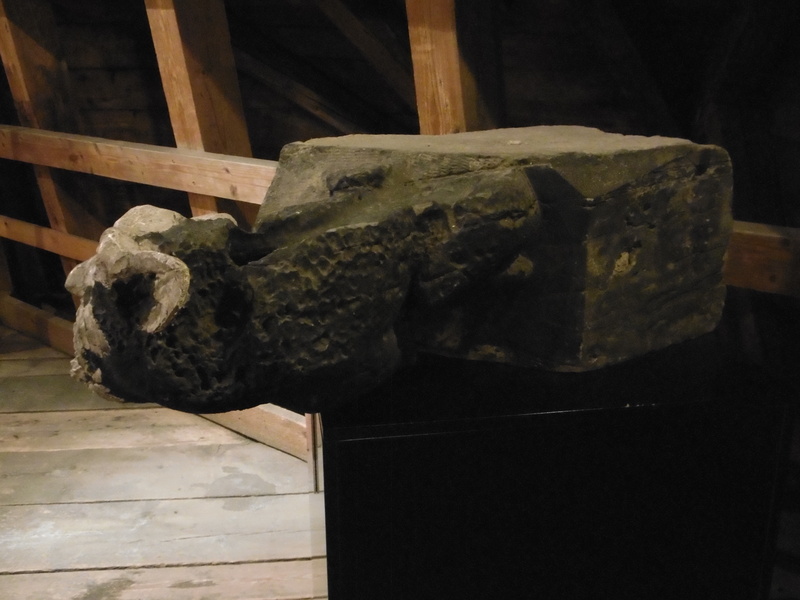 One of the original gargoyles from the Gunpowder Tower, Prague, now on display inside the attic of the tower. Because the Scholarly Skater has not been able to post for a few weeks, the supply of gargoyles on the Internet has been in decline. It is a little known fact that just as gargoyles in the real world channel away water away from flooding or dissolving the building to places where it can be used for irrigation and other useful purposes, gargoyles on the Internet channel spam and trolls so that instead of clogging the tubes they are safely redirected to a server farm in California where they keep spies and PhDs in Physics harmlessly busy. This week, I thought I would step in and fill the gap. Although Prague is not known for its ancient history, I have some Achaemenid content at the end of this post. The Gunpowder Tower of Prague, part of the old city wall on the east bank of the river Vltava/Moldau, was built in the fifteenth century and renovated at the end of the nineteenth in the best Neo-Gothic style. During this renovation, some of the gargoyles and grotesques which had become damaged were taken down and put away for safety. 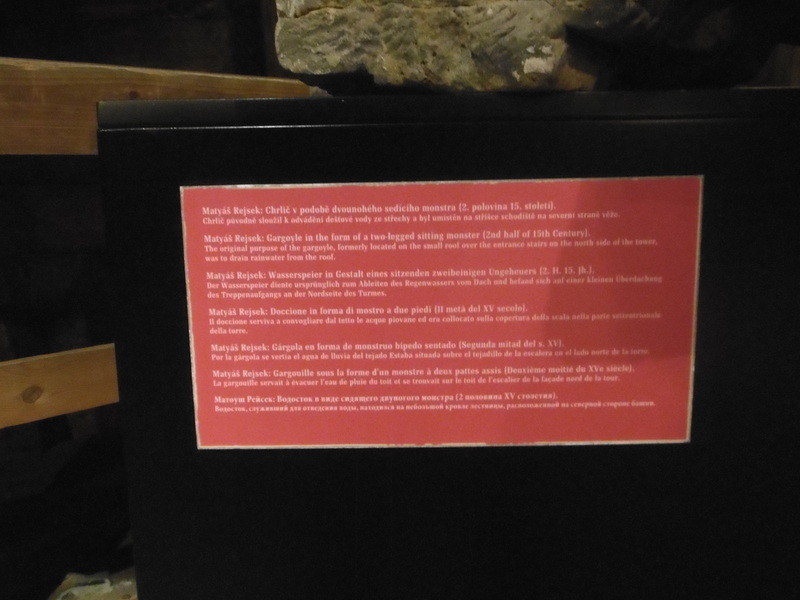 Label of the retired gargoyle on display inside the Gunpowder Tower, Prague. Prague Cathedral also has some gargoyles, although they are not as easy to photograph. 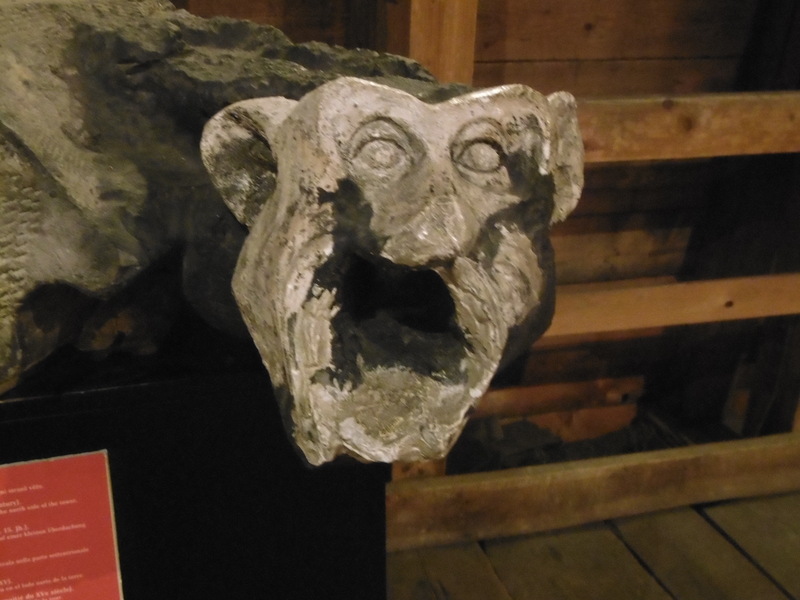 One of the gargoyles on the cathedral in Prague Castle. After a busy few hours taking photos and sketches at the Wallerstein Riding School, I had a snack in their cafe. And while I was there, I noticed some bonus Achaemenid content! A cabinet decorated with Achaemenid battlements from the cafe of the Wallerstein Riding School, Prague. As far as we know, none of the Achaemenids ventured north of the Danube and west of the Eurasian steppes, so I was glad to see a little outpost of empire in Prague. 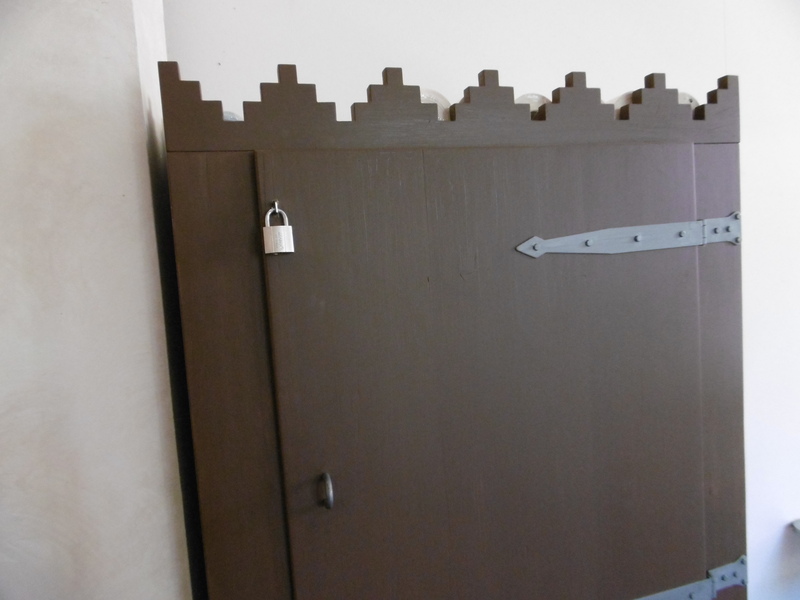 I am sure that those battlements protect the cabinet against thieves who might swipe some paper towels or glass cleaner as well as providing a touch of class. Great post and photos! I’m sorry about the lack of gargoyles. I’ve recently started a business, and that’s taking up most of my time at the moment. Now that I know they have been missed, however, (and I’m flattered that anyone cares) I will try my best to post a new one soon. That is all right! Nobody gets paid much to blog on their own site, beyond a few PR staff and a few people who are clever and unscrupulous with ads and endorsements. So I do this for fun, and it is good for me to take a break from being serious and scholarly now and then. You’re welcome Jeff. I wish I had some comments for your lovely poems, but my heath this year has not been sufficient and I have a dissertation to finish. Einverstanden—I’m dealing with a few health issues myself. I like to pretend they’re the wages of wisdom. Wishing you well as you work on that dissertation! Magnificent! 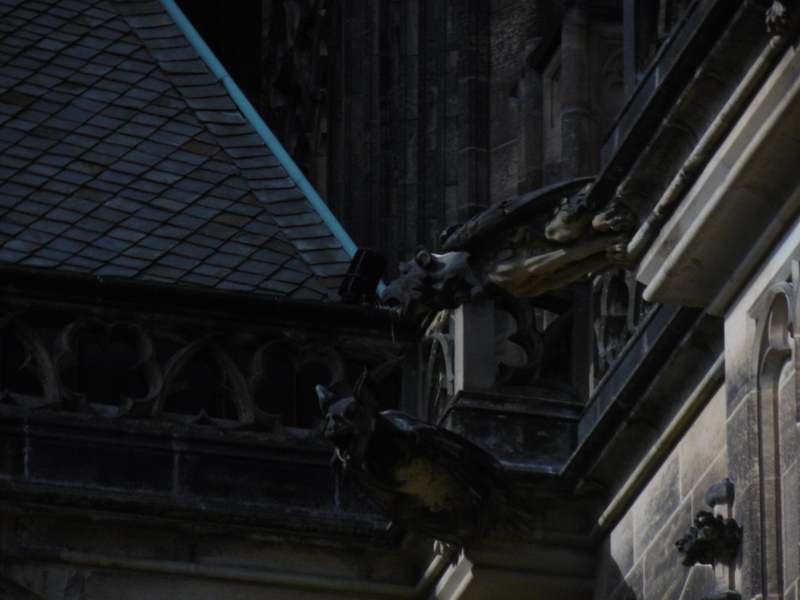 These are the first Prague gargoyles I have the seen.